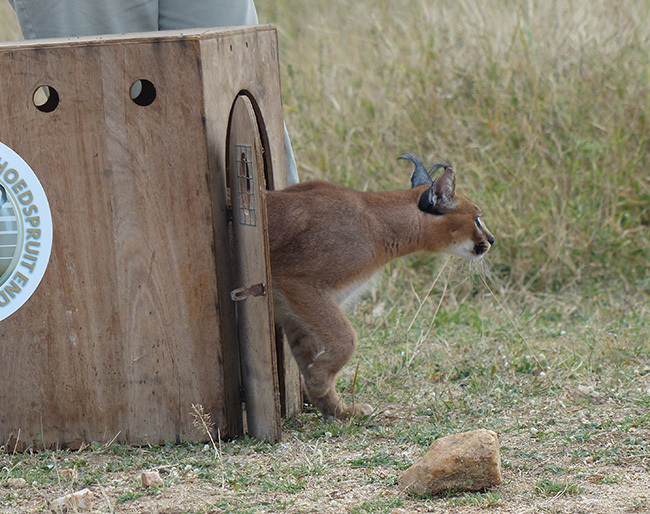 On the 11th of May, a male caracal was successfully released onto Kapama Game Reserve after spending almost three years in the care of the Hoedspruit Endangered Species Centre (HESC). Eddie, now 3-years old, was presented to the Hoedspruit Endangered Species Centre as a gift at four weeks of age. Now fully grown and ready to tackle the wild, he was released onto a Big 5 reserve in Limpopo to live the rest of his life in freedom. 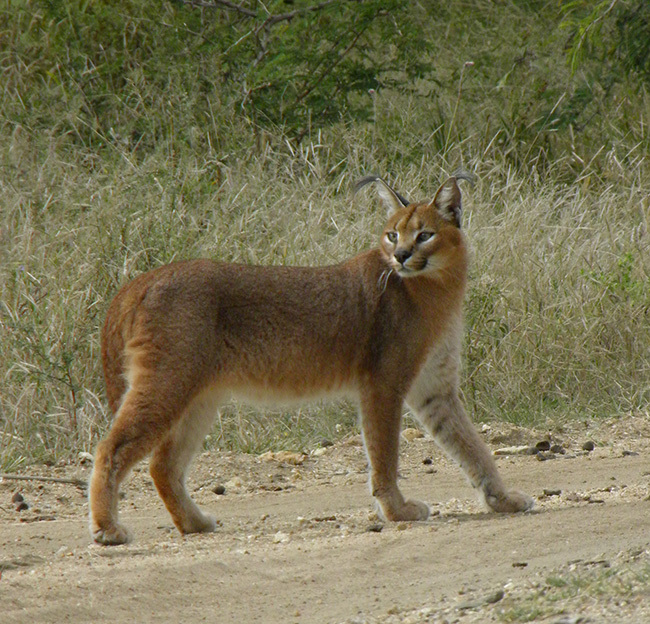 Originally, the HESC attempted to position the caracal within their breeding group, but after sustained disinterest, he was found to suffer from a medical condition inhibiting his ability to breed. Following the discovery, the decision was made to release him into the wild. Nina Kisch, the resident vet at the Centre, encouraged Eddieâ€™s release, saying, â€œEddie has continuously shown us his ability and desire to return to the wild by catching his own prey almost every day, despite also being fedâ€. As Eddie was very young when he arrived, the staff of the HESC had to teach him essential life skills. This involved climbing trees and encouraging his natural hunting instincts, which he subsequently demonstrated effectively to catch doves that mistakenly flew into his enclosure – one of the indicators to the staff that he was now ready for release. 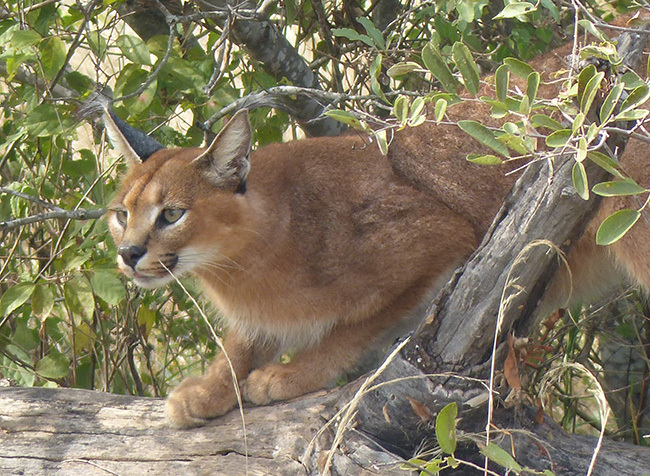 Licia Minaar, animal curator at the Centre admitted she will miss the caracal, but that life in the wild will be the best gift to give him, â€œEddieâ€™s got a soft spot in all of our hearts, but I am confident he will be a fighter in the wildâ€™. The Hoedspruit Endangered Species Centre focuses on the conservation, breeding, and release of rare, endangered, and vulnerable species, including cheetahs, ground hornbills, wild dogs, black footed cats and more. Offering daily tours of the Centre, the public is invited to take part in the experience. For more information, please email management@cheetahcentre.co.za, or phone 012 460 5605.